Dr. Stern’s first entry into the field of medicine was at age 16, as an Emergency Medical Technician. He enjoyed helping people in need and had the desire to do more for them. Realizing that an EMT would not be able to establish long-term relationships with patients, he began to think of becoming a doctor. 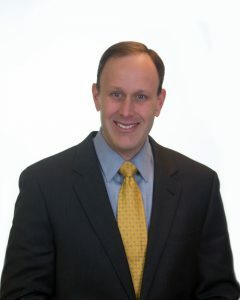 After receiving a Bachelor of Science in biology at the University of Michigan, Dr. Stern entered medical school at the University of Virginia Health Sciences Center. During medical school, he found the intellectual and technical aspects of surgery appealing and decided to pursue general surgical training. Dr. Stern completed his general surgical residency at the University of Cincinnati College of Medicine. During his training, Dr. Stern secured a National Institutes of Health National Research Service Award to perform two years of basic science research. Therefore, he was able to complete a Pediatric Surgical Research Fellowship at Cincinnati Children’s Hospital Medical Center. During this time, he published numerous basic science articles, wrote several surgical textbook chapters, and presented his research findings at both national and international conferences. He was honored to be elected to the Alpha Omega Alpha national medical honor society as a surgical resident. While a general surgery resident, he found colon and rectal surgery challenging and decided to seek specialized training in the field. He moved to the Boston area and completed a Colon and Rectal Surgical Fellowship at the Lahey Clinic Medical Center. As a fellow, he received advanced laparoscopic training and he has maintained an active interest in laparoscopic colorectal surgical procedures. Since arriving at Fairfax Colon & Rectal Surgery, the entire group’s laparoscopic practice has increased more than 10 fold. Dr. Stern and his wife, a practicing pediatrician in Northern Virginia, performed their residencies together in Cincinnati. They have two daughters.